At EverLine Coatings and Services Vancouver location, we install all types of signage for parking lots and properties. We also install a wide variety of high visibility bollard covers to protect your property and it’s users. Signage and visibility play a huge role in parking lot safety. 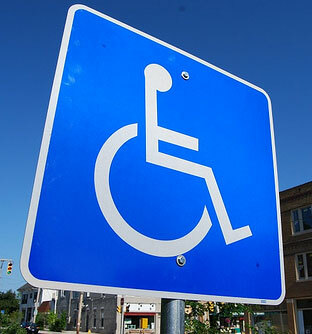 Parking lots and properties require the proper signage to enforce the rules of things like crosswalks, handicap stalls, no parking zones, loading zones, and many other things. Installing the proper signage in your lot is the most effective way to enforce the rules of your lot and keep everyone using it safe. At Everline Coatings and Services, we can install the kind of signage your need, where you need it. Our crews have years of experience installing all types of signage. Need help planning the signage in a new lot? We would love to help. We can strategically plan a safe and effective signage schematic to make your parking lot function safely. In addition to our signage installation services, we also install various types of high visibility bollard covers. If you have bollards installed to protect parts of your property, it would be beneficial to have them covered with a bright, reflective bollard cover to ensure that they stand out in different levels of visibility and that no one hits them. Bollard covers are a great solution to ensure the visibility of bollards for the users of your parking lot or property. At Everline, we can supply your property with a variety of different sized bollard covers as well as customize them however you would like to give your property a unique look and feel. Why should you choose Everline Coatings and Services? One of our business values we adhere to that helps us stand out from our competitors is our commitment to the CORE quality system. CORE stands for clear scope, operations reports, reach out and evaluate. Our commitment to these values allows our clients to monitor quality throughout the application process. Adhering to these unique values enables us to offer services that cannot be matched by our competitors. Each of our clients receives the highest quality of work. We work with your schedule or work around your hours of operation if needed. We promise to always there when you need us. This level of customer service and commitment to our customers has put us at the top of our industry. At Everline, we are considered the sign and bollard installation experts. Making a statement like this requires some real proof to back it up. We have had some of the same happy customers in the Vancouver area for Decades. Our professionally trained crews are ready to take care of your sign and bollard cover installation needs. When the Everline sign and bollard cover installation crew arrives at your property, you can be sure that you’re getting a professionally trained team to get the job done. You can always trust the crews at Everline Coatings and Services to do a quality job with results you will be happy with. To ensure your bollard and sign installation project is completed in a timely and efficient manner, we have a few steps you can take before our crew arrives. If we are installing signs on a wall or surface, please ensure the surface is clean. Please ensure the users of your property know installation is occuring to ensure the safety of our team and an interruption free installation. The safety of our crews is our top priority. Following these steps helps us provide a safe and interruption free installation of signs and bollard covers to deliver you the best value possible. Ensuring your business receives the best value on sign and bollard cover installation projects is very important to us at EverLine Coatings and Services. This is why we do not offer flat rate pricing instead are pricing is based on a per job basis. The price of a project can fluctuate based on a number of different factors. It is important we gather all the details of your project and learn about your budget so we can provide a quote that work for your business. If you are in need of a quote for a sign or bollard cover installation project please contact us.